Just pickup 2 watches from my friendly AD today. Price in two opposite spectrum but equally iconic. I saw the pre-launch pictures and was immediately attracted it's design. I put it as a watch with lots of character. It's comfortable to wear. While I have not bring out my 10x loupe to examine the watch. 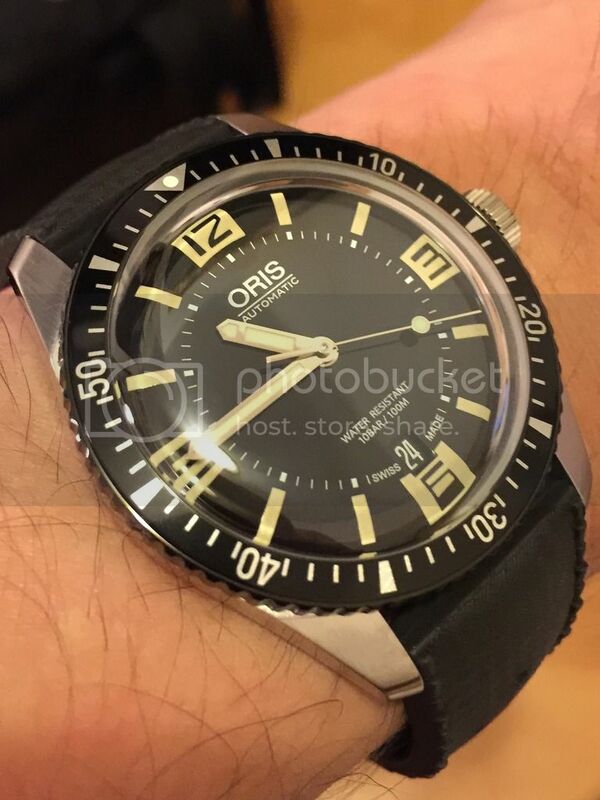 The detail is amazing and for the price Oris is asking. This is such a great watch to own. It's my first retro inspired watch, so this may be a reason to add to my collection. Will share my other purchase later.